I am one of over 84 million users a month who have made MailOnline the world’s newspaper website. It’s where I read news of a collection of around £40 worth of vintage Mercedes-Benz cars going under the hammer in London’s Battersea on September 8. On seeing the first photo in the article of a 1956 Mercedes 300 SL Gullwing worth £900,000, my eyes flashed with heartbeat and my mind instantaneously took a trip down memory lane to Beirut, of all places. Beirut is where I admired an exclusive 1956 Mercedes 300SL Gullwing two or three years after it rolled out of the production line. 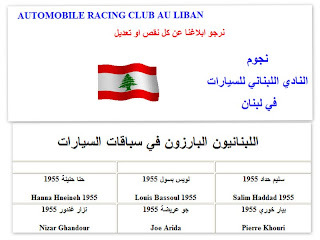 It was in black color and ordered by the Mercedes dealership in Lebanon especially for the late Nizar Ghandour, the scion of an upper-crust family of confectioners. Nizar was a car enthusiast and an habitué of the Kit-Kat, a top nightlife spot on l'Avenue des Français. That’s where we met and where he offered to take me for a spin. The five-minute drive along Beirut’s seafront felt like sitting in a fighter jet ready to launch. An incredible haul of 74 Mercedes owned by the same person is expected to fetch more than £19m in London’s most valuable ever car auction. The ‘Ultimate Mercedes-Benz Collection’ is made up of dozens of the German carmaker’s most important models spanning a 100-year period. There are limousines, sports cars, convertibles and even an ambulance in the fleet which has been assembled by the 'anonymous European collector” over the years. Leading the sale are two 1938 Mercedes 540K cabrios which should sell for between £1.3m and £2.5m each. 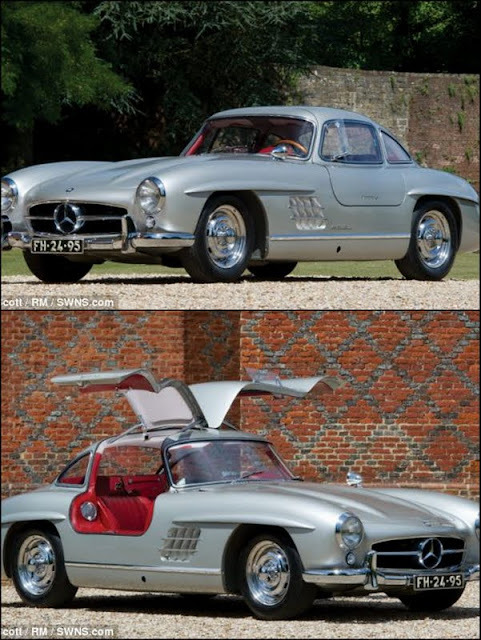 There are also three of the company’s iconic 300 SLs, including a 1956 Gullwing, which should fetch £900,000. An 81-year-old Mercedes 370S is expected to sell for £1.2 million while a 1936 500K Cabrio should fetch £900,000. There is even an old ambulance, with 1952 emergency vehicle offered with a guide price of £50,000 to £70,000. And a replica, built in 2000, of the world’s first car - the 1886 Benz Patent Motorwagen - should sell for £55,000. The incredible collection will be going under the hammer as part of RM Auctions’ Battersea sale on September 8. If they attract the attention that is anticipated, the 74-strong fleet should net the owner in excess of £19m. Peter Wallman, car specialist at RM Auctions, said: 'As with all collections of this size, there is a car to suit everyone - pre-war, post-war, open or closed, two door, four door, supercharged, normally aspirated, large cars, or small cars. 'The Ultimate Mercedes Collection includes a variety of rare and fun models, including a very sweet 170V Roadster, a beautifully presented 1952 170DA Pickup, and an interesting 170 SV Ambulance. The overall sale could be the most valuable car auction to ever take place in Europe. On top of the £19m Mercedes collection, there is a £17m haul of sports cars owned by Lord Laidlaw alongside Ferraris, Rolls-Royces and James Bond’s submarine car. In total, sales could top £40m - beating the £36m achieved by Bonhams at the Goodwood Festival of Speed this year.